We drove to Cervantees today to see The Pinnacles. 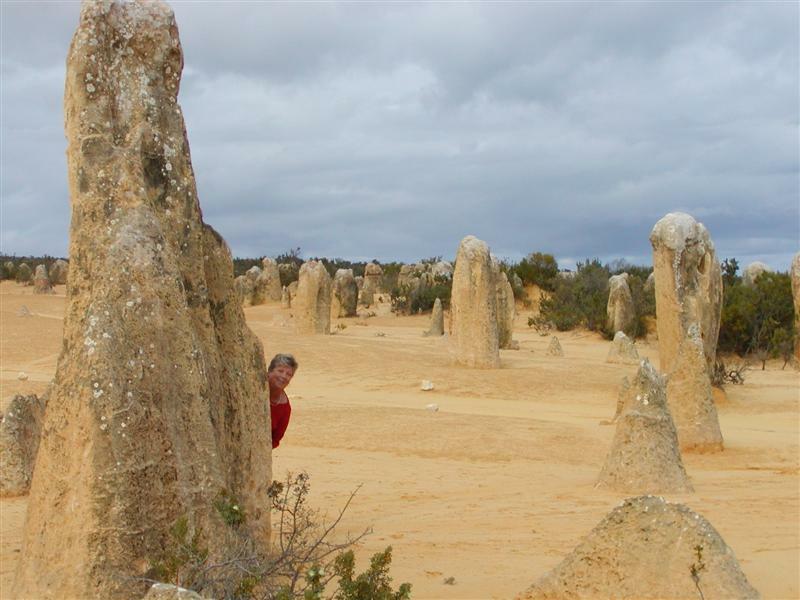 The Pinnacles Desert is a landscape of limestone pillars, that was formed many thousands of years ago, although geologists are still divided as to how the limestone formed into columns – creating the pinnacles. 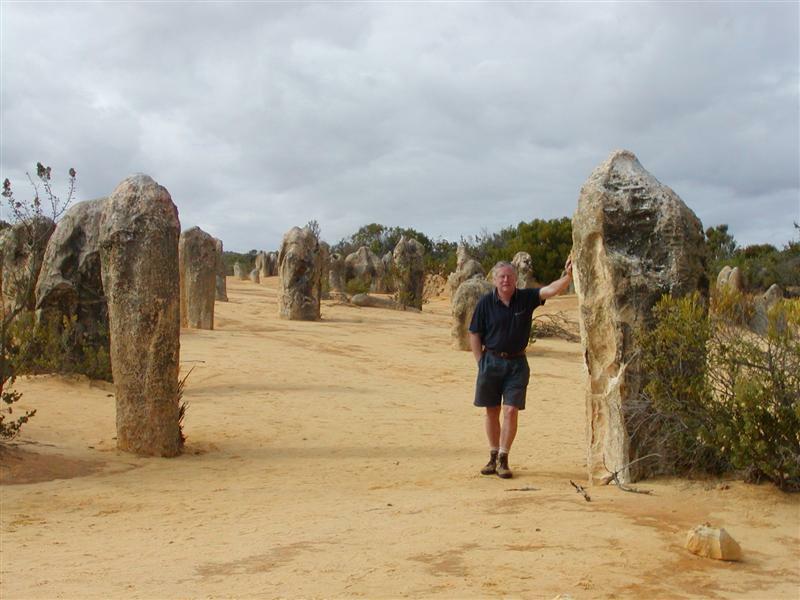 Quoting from the brochure – “Some believe that the limestone between the pinnacles was leached away more rapidly in areas where plant roots increased the acidity of the soil; others believe that the pinnacles formed around the roots and trunks of buried trees. 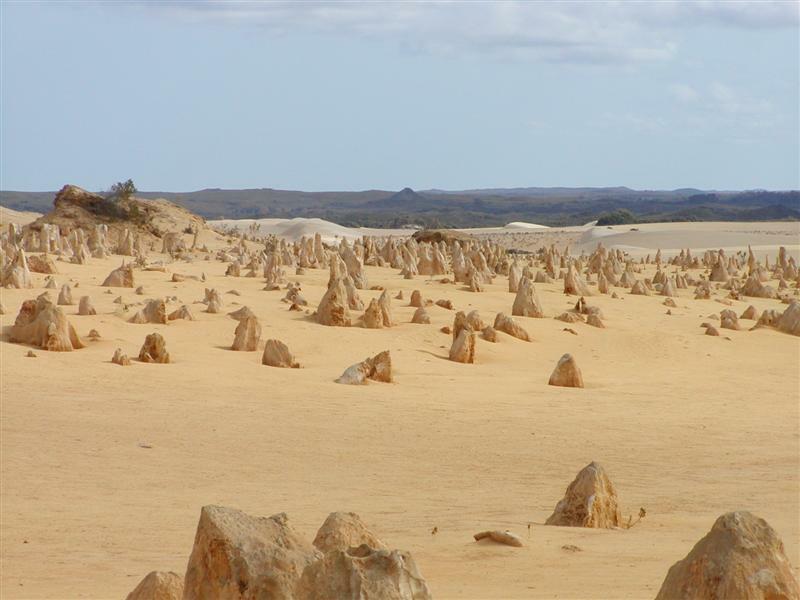 In both theories however, the pinnacles were formed beneath ground from the varied influence of acidic water as it percolated through the soil profile, first leaching then accreting calcium carbonate into interesting and diverse forms. 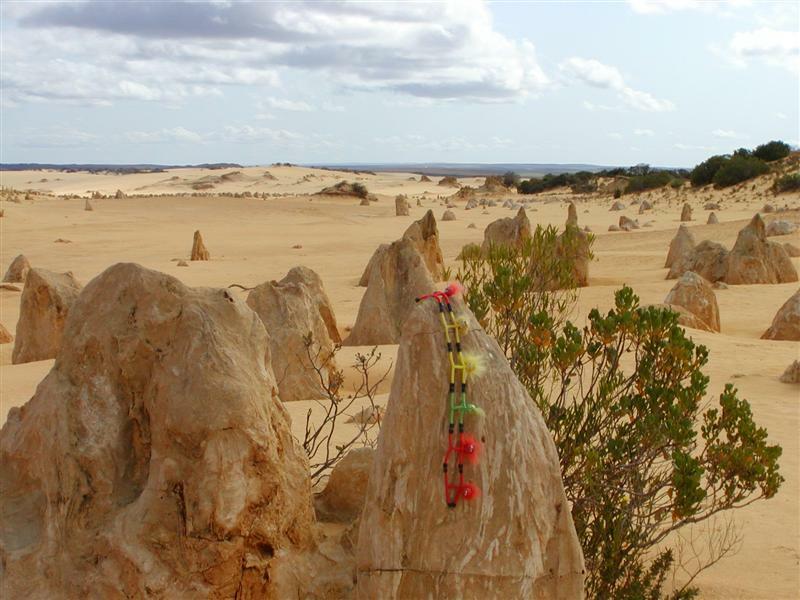 As the vegetation stabilising the silicate sand was removed, probably by fire, the sand was blown away, exposing the pinnacles to the elements of the atmosphere. 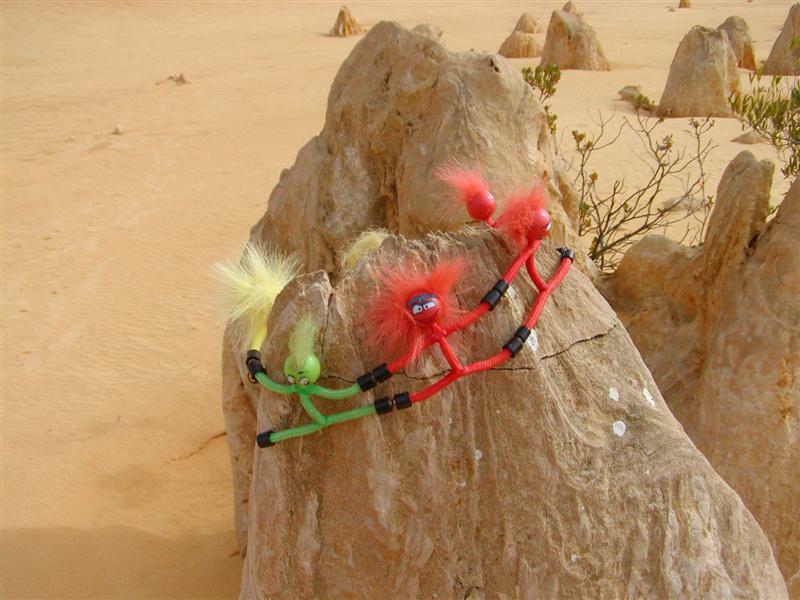 The pinnacles were sculptured further by wind, rain and the sun, into what we see today”. We found the sights quite amazing, as did the Mango Men. 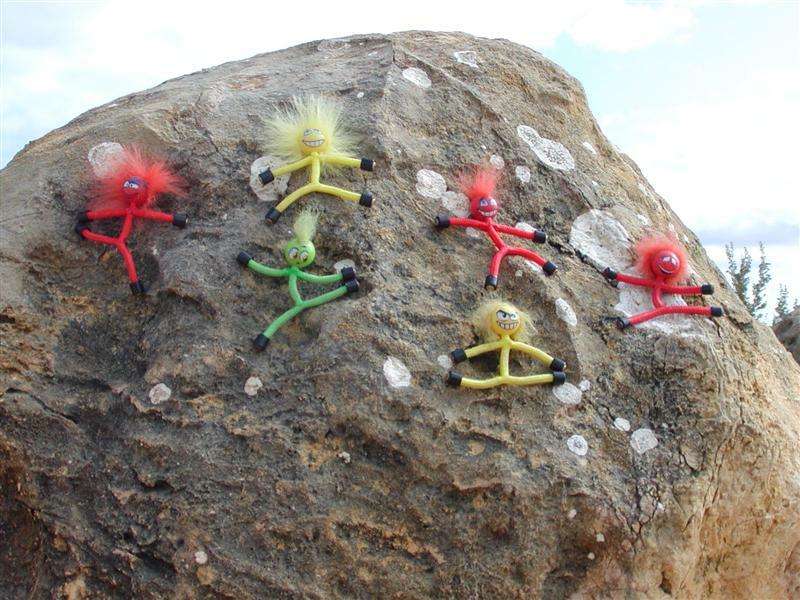 They had a great time climbing, dancing around, and scaling the limestone columns. 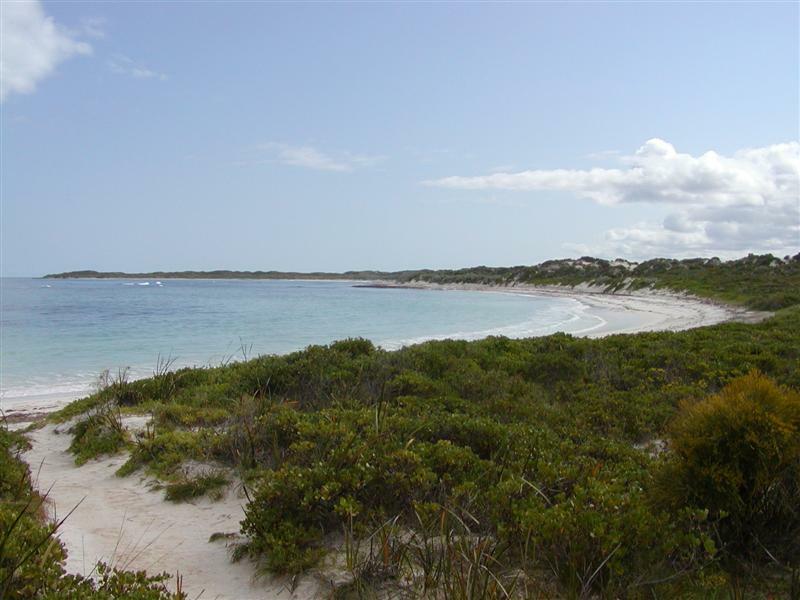 We stopped for lunch at Hangover Bay – enjoyed this beautiful bay while sitting at a table overlooking the sea, plus a BBQ, where we heated up a preprepared Continental Panini, full of pesto, capsicum, ham, cheese, sun-dried tomatoes, olives and mushroom. We move on tomorrow to Badgingarra National Park – so we’ll be out of range for a couple of days and on Friday 6/9 we are booked into The Coolgardie Hilton (John and Katie’s Backyard), for two nights, then the big trip back across the Nullabour! !